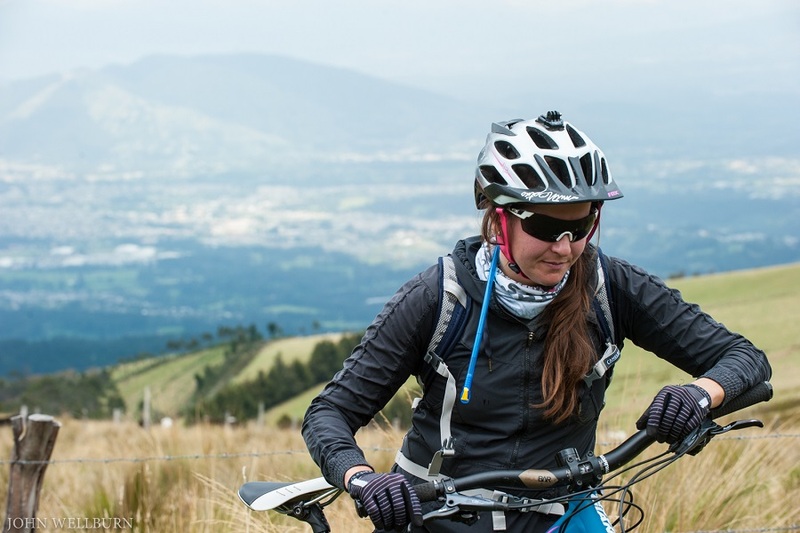 The Nono-Mindo downhill biking tour begins in the north of Quito at an altitude of 3500m and descends to 1800m . 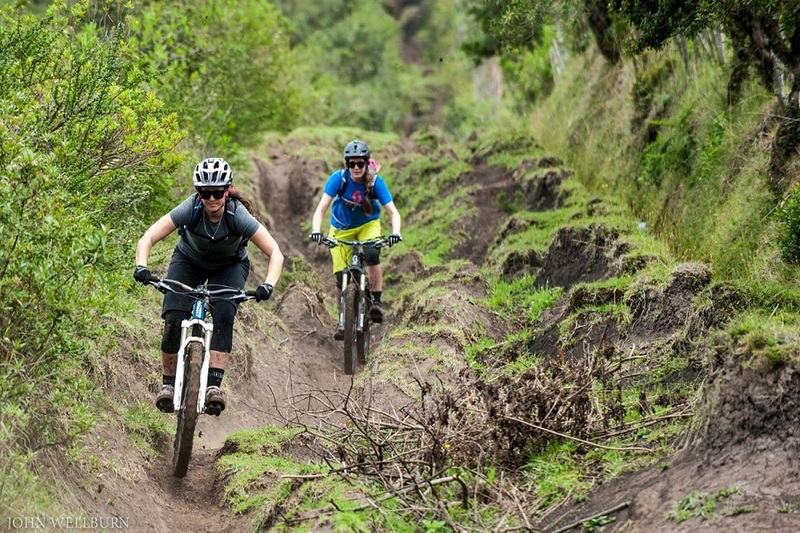 This adventurous tour consists of 70.8km (44 miles) of biking, where we will travel down from the highlands of the Volcano Guagua Pichincha, to the cloud forest of Mindo. This old dirt road offers great opportunities for bird watching (hummingbirds, tanagears, etc.) as well as picturesque views of the Ecuadorian landscape. The tour is perfect for nature lovers and experienced bikers. During this adventurous journey, we will go through a variety of different ecologic and climatic zones in Ecuador, showing you why it is such a great destination in South America. 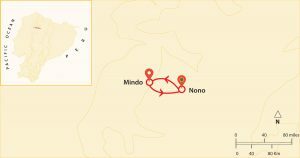 The bike tour concludes with a visit to one of the most famous attractions in Mindo, the butterfly farm where you will find hundreds of different species of native butterflies. 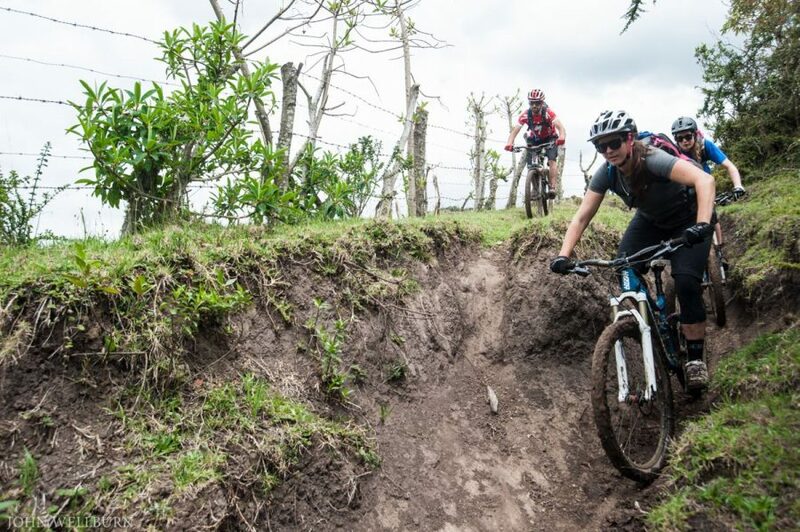 For this tour you can rent a professional high quality bike for an additional cost starting from $45. You have the choice between a Rockhopper Comp 29”, Rockhopper Pro Evo 29”, and especially designed for women the Jett 29”. Read more about our bicicles.